1.Generally - These “Standard Terms and Conditions” shall apply to any rental use of the Hotel/lodging rooms as well as to any further services provided by the Cabo Vista Hotel to its customers. 2.Room Limitations - Pets and Smoking are prohibited and not allowed on the premises or in the rooms. Sub-letting or re-letting of the provided rooms for purpose other than lodging require the prior written consent of the Hotel. The Hotel reserves the right to refuse service to anyone. 3.Initiation of a Contract - The contract comes into being upon the acceptance of the customer’s application and reservation by the Hotel. At its own discretion, the hotel may confirm the room reservation in writing. 4.Parties to the Contract - The parties of the contract are the Cabo Vista Hotel which will be referred to as “Hotel” and the customer. 5.Third Parties - If a third party (i.e. GDS) placed the reservation, then that party shall be liable and vis-à-vis the Hotel for all obligations arising from the Hotel accommodation contract as joint and several debtor with the customer. 6.Limitations of Liability - The Hotel shall be liable for its obligations from this contract. The owners, staff and management will not be responsible for any accidents or injuries to Customers of any kind, except in cases of intentional tortuous actions and/or gross negligence. The above mentioned limitations of liability and limitation period apply to the Hotel’s benefit even if obligations are violated during actions leading up to the contract. Any and all claims by the customer against the Hotel or its operators shall be time-barred after six months. 7.Room Availability - The Hotel undertakes to keep the rooms reserved by the customer available, and to render the lodging and/or services which have been agreed in advance. 8.Obligation to Pay - The customer is obligated to pay the applicable or agreed Hotel rates for rooms provided and for other services used. This also applies to the Hotels services and outlays to third parties caused by the customer. 9.Taxes and Fees - The agreed rate does not include relevant and statutory Occupancy, Sales Tax or Ad Valorem Tax imposed by any municipality or governmental body. 10.Rate Modifications - If the period between conclusion and fulfillment of the contract exceeds one month, and if the rates generally charged by the hotel for lodging or services increases, then the hotel may raise the rate agreed by contract to a reasonable extent, but not by more than twenty percent, due to seasonal variations. Furthermore the hotel may change rates if the customer later wishes to make alterations in the number of reserved Hotel rooms, the services of the Hotel, or the length of stay of customers and the Hotel consents to them. 11.Long Term Occupancy/Interest – Invoices for an extended Hotel stay with no checkout date (long-term occupancies) will be paid in full within 24 hours of receipt. At any time, the hotel is entitled to call in accruing amounts owed and to insist on immediate payment. In case of delayed payment, the Hotel may charge interest to the extent of 10 percent above basic interest rate of the United States Treasury 10 Year T-Bill. 12.Security Deposits - The Hotel is entitled to insist upon an appropriate advance payment or security deposit. The amount of the advance payment and dates for payment may be stated in the websites reservation page or provided by separate agreement for long term occupancies. 13.Customer Rescission - Rescission of the contract by the customer must be made with 48 hours prior written notice to the Hotel and requires the Hotels written consent. If it is not granted on the part of the Hotel, the rate agreed in the contract must be paid even if the customer does not avail himself of contractual services. This does not apply in case of delayed performance for which the Hotel is at fault. 14.No-Shows - In case the customer does not show up without prior notice and agreement with the Hotel, the applicable full one night reservation deposit may be charged to the Customer’s credit card. 15.Charges for Damages - At its own discretion the Hotel, may require flat rate compensation for damages by the Customer. A minimum cleaning fee in the amount of $150 U.S. Dollars may be charged by the Hotel for smoke residue removal, pet damage or non-customary uses of the room(i.e. Trashing the room, stealing towels or appliances). In addition, there will be a maximum $25 charge for excessively dirty, torn, or make-up stained, or other grossly stained linens or towels. 16.Authorization for Payment - Customer authorizes the Hotel (Cabo Vista Hotel) to charge the customers credit card for Customer’s lodging, Taxes, normal and customary charges or charges for damages as enumerated in P15. 17.Rescission by Hotel - Hotel may rescind the contract for a materially justifiable or extraordinary cause, for example force majeure (an act of god) or other circumstances, for which the hotel is not responsible. These circumstances would have made it impossible for the hotel to fulfill the contract. Furthermore, the Hotel may rescind the contract if rooms are reserved with misleading or false information regarding major facts such as identity of the customer or the purpose of the customers stay, the hotel has justifiable cause to believe that the hotel services and performances might jeopardize the smooth operation of the hotel and its security or public reputation. 18.Notification of Rescission - The Hotel will notify the customer of its rights of rescission as soon as possible. 19.Limitation on Rescission - The customer does not have any claim for compensation from justified rescission by the hotel. Any claims must be made have been previously reported in writing to management or law enforcement during its stay and made in writing within 6 months. 20.Selection of Rooms - The customer does not have the right to be provided specific reserved rooms. The Hotel shall make every effort to provide the type of room that the Customer has requested. 23.Monetary Limitation - The Hotel assumes liability for the due care and diligence of a prudent merchant. However, its liability is limited to a refund of the Customer’s one night charge for any performance defects, damages, consequential damages, and faults or defects resulting from intent or gross occurrences that occurs during the customers one night stay. 24.Notification of Claim - The Hotel will endeavor to remedy a limited liability situation when the hotel is notified of this or upon the customer undertakes to contribute reasonable assistance in remedy the fault and minimizing any possible damages. 25.Personal Property - The Hotels liability toward the customer’s property bought into the hotel that is lost or stolen as a result of the Hotel’s intentional actions or gross negligence is limited to three times the room rate, not to exceed U.S. dollars $250. Valuables may be placed in the safe that is provided in each room, which shall be used at customer’s own risk. 26.Parking and Liability - Insofar as one (1) parking space is provided to the customer in the Hotel parking area, this does not constitute a safekeeping agreement. The hotel assumes no liability for loss of or damage to motor vehicles parked or maneuvered on the hotel's property, nor the contents thereof, with the exception of cases of willful intent or gross negligence of the hotel’s owners, employees, or agents. 27.Morning Alarms - Wake-up calls are not provided by the Hotel. An alarm clock is provided for that purpose. The Hotel is not liable for any damages resulting from the customer’s improper use or settings of the alarm clock. 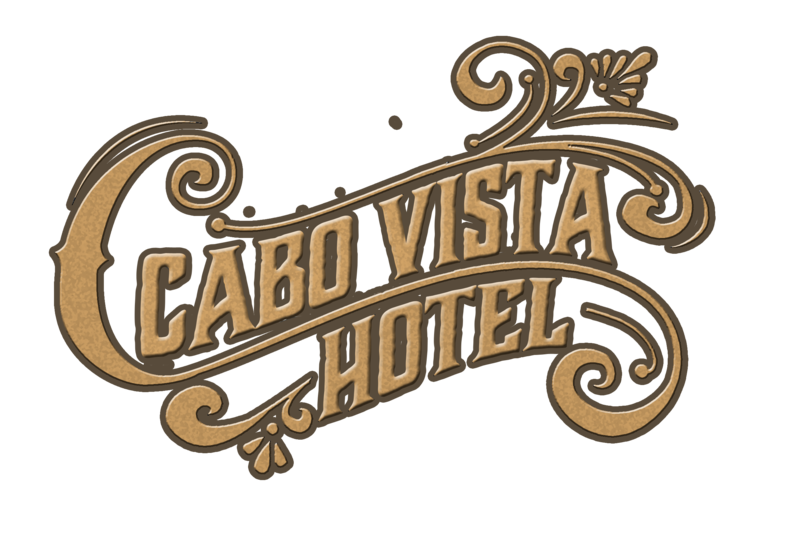 28.Privacy and Disclosures -“ Cabo Vista Hotel” uses high ethical standards and respects your privacy. Save for any disclosures required by law in any relevant jurisdiction and the disclosure of your name, address, email address or other details for completing your booking, we will not disclose your personal information to third parties without your consent. 29.Verification of Reservation - By completing a booking, you agree to receive an email which we send you shortly after completing your booking process, giving you information relevant to your booking, and an email which we may or may not send to you promptly after your stay inviting you to complete our guest review form. 30.Further Notices - Other than the email correspondence confirming your booking, relevant booking modifications or cancellation emails, guest review invitations, future specials, or any other emails for which you have opted in, we shall not send you any further notices, emails or correspondence, unless you specifically opt out. 31.Alterations to the Contract - Requests for Alterations or Amendments to the contract or these Standard terms and conditions for the Hotel/lodging accommodation should be made in writing and delivered to Management. Unilateral changes and amendments by the customer are not valid. 32.Jurisdiction - Place of performance and place of payment is the city and county where the Hotel is located. All disputes shall be made in a court of competent jurisdiction in Cabo San Lucas, Mexico and shall be governed by and construed in all respects in accordance with the laws of Mexico. 33.Unenforceable Provisions - Should any provisions of these Standard Terms and conditions for the Hotel accommodation be or become individually unenforceable, or null and void, the validity of the remaining provisions shall remain unaffected thereby and in full force and effect. In this case the contracting parties are obligated to replace a null and void provision by a relevant and effective provision for the benefit of the contracting parties. The statutory provisions shall be applicable. 34. Children - Please call the manager and discuss our policy regarding Children. 35. Disturbances – It is the Customer’s responsibility to ensure that you and members of your group do not behave in any way which would be inappropriate or causes grief, distress, danger, offence or damages to others or property belonging to others. The Hotel reserves the right to call the police and immediately terminate the lodging should a violation of this provision occur. No refunds, payments for compensation, or reimbursement for moving costs or expenses shall be given if the termination occurs during the middle of the Customers stay. Furthermore, Customer may be responsible for cancellation charges for two additional nights (48 hour notice) if the disturbance occurred during a longer term occupancy. 36.Numbered Provisions - This agreement contains the full written agreement of the contracting parties and may not be altered by either party, either orally or written without the express written consent of the other party. This agreement contains a total of 36 numbered paragraphs.